Complete ACCUPLACER Study Guide and Practice Test Questions! Take the Guesswork out of Passing Your ACCUPLACER Exam! Jennifer and Amy are aspiring University school students. They’ve met all the entrance requirements. They have great recommendations. 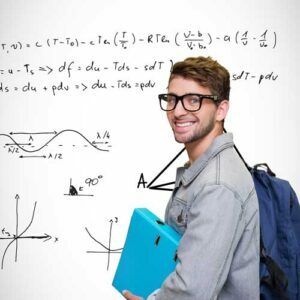 All that stands between them and University is success on the ACCUPLACER Exam. Jennifer had always been a good student. She did okay on tests like the SAT and figured the ACCUPLACER would be like that. Besides, she heard that you couldn’t really prepare for the ACCUPLACER exam. She fit in some studying (in between her favorite TV shows). But as the test date approached, she got a nagging feeling that she should be doing more. When she got her scores, Jennifer had been proficient in some areas, but scored very low in English which had always been one of her strongest subjects. She was also surprised at how unprepared she was for the Science section. Amy, on the other hand, knew she had never been a great test taker. In fact, she had always found them stressful. She had to work very hard to get the grades she got. She knew that “seeing” what the test looked like would boost her confidence. Armed with practice tests and a focused study guide, Amy quickly realized she knew more than she thought and was able to focus on the areas where she needed help. When she took the test, she scored proficient or higher in every area and confidently took the next step towards realizing her dream of becoming a nurse. Why did Amy succeed when Jennifer struggled, and how can you ensure that you have that same success? With the Right Preparation, You can Pass on the First Try! 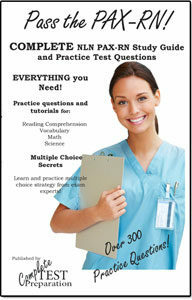 AND WITH OUR ACCUPLACER STUDY GUIDE AND PRACTICE TEST QUESTIONS YOU CAN TOO! As a result, we can offer several important benefits as you prepare to take the ACCUPLACER. Like any test, your degree of success on the ACCUPLACER depends largely on knowing how to study for it. Now, I’m not talking about burning the candle at both ends. In fact, our goal is to have you studying less not more. Nor are we asking you to spend hundreds of dollars on study guides. Our material is available for a less than the cost of a good pair of running shoes … more on that in a moment. Amy understood the same thing that many successful ACCUPLACER takers understand. The more questions you see, the more likely you are to pass the test. 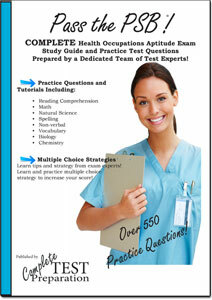 And between our study guide and practice tests, you’ll have over 500 practice questions that cover every category. You can fine-tune your knowledge in areas where you feel comfortable and be more efficient in improving your problem areas. Our test has been developed by our dedicated team of experts. All the material in the study guide, including every practice question, is designed to engage the critical thinking skills that are needed to pass the ACCUPLACER Exam. They will not be the exact same questions you’ll find on the exam, but they are similar. And like the ACCUPLACER exam, the practice tests are weighted differently so you will be exposed to questions in all areas. Yes, I Want To Do Everything I Can To Pass My ACCUPLACER Test On The First Try! How Do I Get Started? Simply click on the link provided to take your first step towards your dream of advanced placement in the University of your choice. 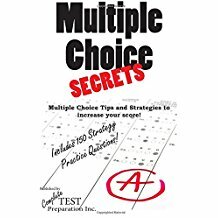 Complete Accuplacer Study Guide including Tutorials, Self-Assessments for all content, practice questions, complete guide to multiple choice strategy, Test Questions for Sentence Skills, Reading Comprehension, Arithmetic, Sequences, Logarithms, Trigonometry, Polynomials Geometry, Algebra and more. Order PDF Download Version - $19.99 PDF Version of Printed Version. Download after purchase. No shipping! No Waiting! Printable PDF version of Paperback - Optimized for any platform - PC, MAC, Smart Phone or Tablet! I found it straight forward and easy to follow. Really got a lot out of the practice test questions. Highly Recommended!! !